When setting up a layout grid in my Master pages, it's super handy to be able to say "Make my margins this size, and within the remaining working space, separate into X columns with a gutter of Y". 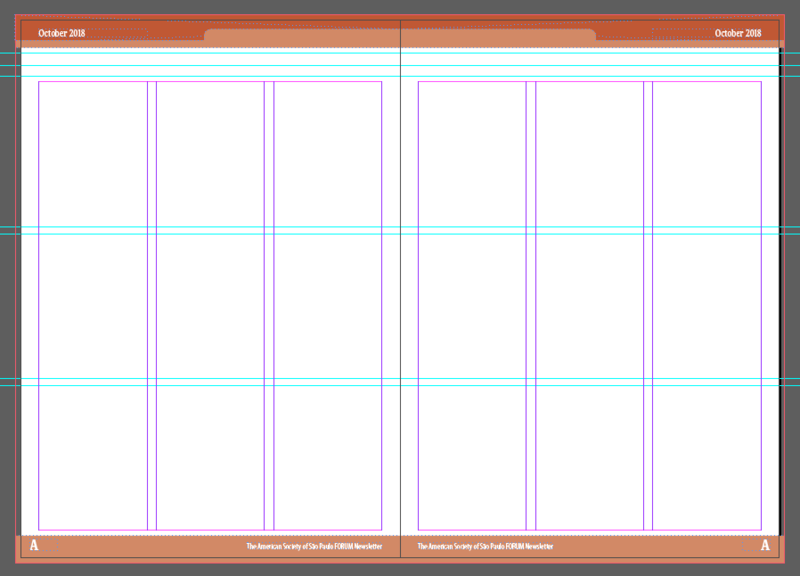 I've attached the setup and window in InDesign as an example (orange) to compare to Publisher (purple). In Publisher, it's currently only possible to set margins - everything else I have to set up manually with the Guide Manager. 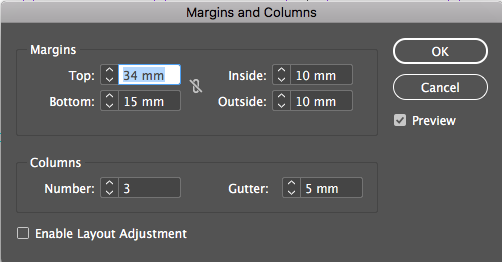 Any chance the ability to set columns & gutters as part of the margins settings will be future feature? Just realized I posted this in the "bugs" forum instead of "feature request" forum. Any chance this can be moved for me, or should I repost? Additionally, this is another dialog that needs a sync lock. Technically any dialog box with margins or bleeds needs it. Doesn't apply to your example but anytime you want the margin to be the same all the way around, much easier to just enter the number once and be done. Ha, yes! It's Audrey - a photoshopped image, of course. Could be real, an outtake from Roman Holiday. Probably unhappy with the director. Moved to the Feature Requests section as requested. Absolutely this. 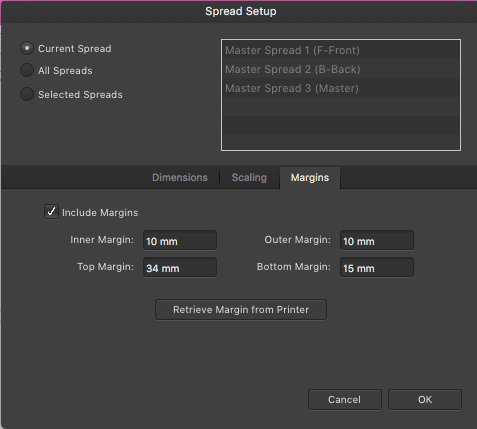 It'd be really hard to make the switch without this feature since making a manual grid with gutters is so much more work than the few seconds it takes in InDesign, and then if you have to adjust it after if something's not working well, you'd have to redo all the math. I do not think columns will autofollow manual grids anyway... what are you trying to achieve? In Publisher columns are a feature of text frame. You set up your first frame and autocopy from there. Now there are problems with that approach of course. Like having different column setups in different parts of publication. Master page items are meant for this, but at the moments it seems Publisher's master pages are somewhat lacking in functionality. What we are trying to achieve is a page-level grid system ("guides" in Publisher) that is independent of specific text or graphic objects placed on the page. The problem with a text-frame based guide model is that in many instances you need to align non-text items to the grid system. Images, graphic elements, marginalia, etc. As with Indesign, there are some instances where a multi-column text box is useful. But there should 100% be a page-level grid/guide setting that allows the configuration of a user-defined number of columns with a user-defined gutter width, set within the margins of the page. Otherwise something as simple as a standard 12-column magazine grid becomes incredibly inefficient to set up or alter. What I find annoying is that the snapping does not seem to work on the columns in a text frame. I've activated all options in the snapping manager, but objects don't snap to the columns in a text frame. Seems like a must have to me. Or am I missing something here? If snapping would work as expected, one can use a text frame to set up the guides on the master page, or use a (empty) text frame as a snapping guide on the fly. This is where having the columns set up in the Master page would make a whole lot more sense. Not a text frame, but simple column guides, as I originally posted above. In this way they should function as guides, and thus objects should snap to them just as they should to other design elements. Currently, the best work around is to set up actual guides on your Master were you gutters would be (doing the math to make sure everything works out) and then your objects should automatically snap to them, regardless of having a text frame in place or not. Well, having objects snap to columns in a text frame still makes sense to me, regardless of the possibility to connect a column grid to a spread or master page. But indeed, it would be less of an issue. +1 for the gutters. I was kinda shocked to see they did not exist. I can set an inner margin on a master page but it would be nicer to just have that as part of the initial document setup. It just makes more sense there. The only advantage I can see to doing that in master pages is having images or backgrounds spanning 2 pages through the gutter. However, if I understand this correctly, the margins are just guides anyway and do not prevent anything crossing them. Maybe it is just my inexperience but gutters are generally going to be in the same place across the entire document for anything published correct? I guess the exception is the cover and rear page? 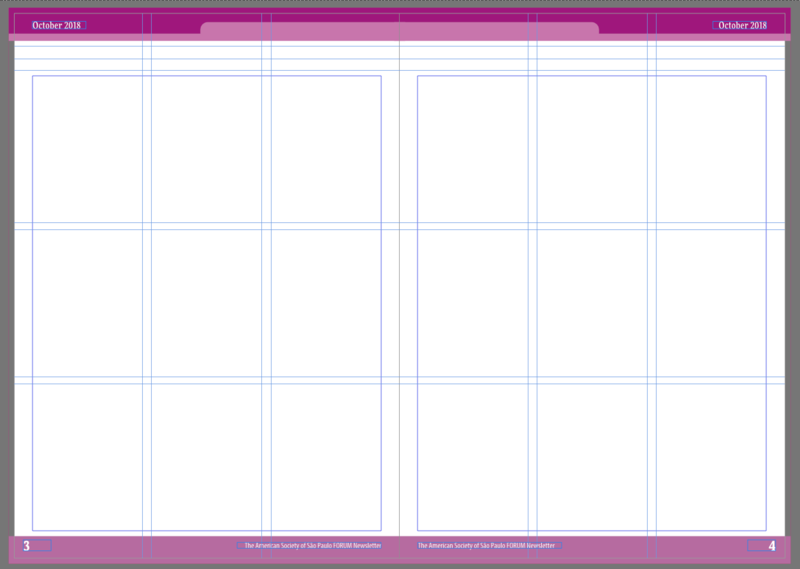 Also, conceptually, having a different grid on every page is a recipe for disaster visually. The purpose of a grid is to enable the designer to be consistent over vast amounts of pages. This is not a drawing program like Affinity Designer where I design a poster or small publications at best, this is a program meant for hundreds of pages. The focus must be on reusability, smart rescaling, snapping, grids, masters, styles (object styles are missing as well! ), import features. That Affinity is lacking ANY sort of grid calculator is dissapointing and a reason for me to stay away. This is the one thing that is a huge pain in InDesign.